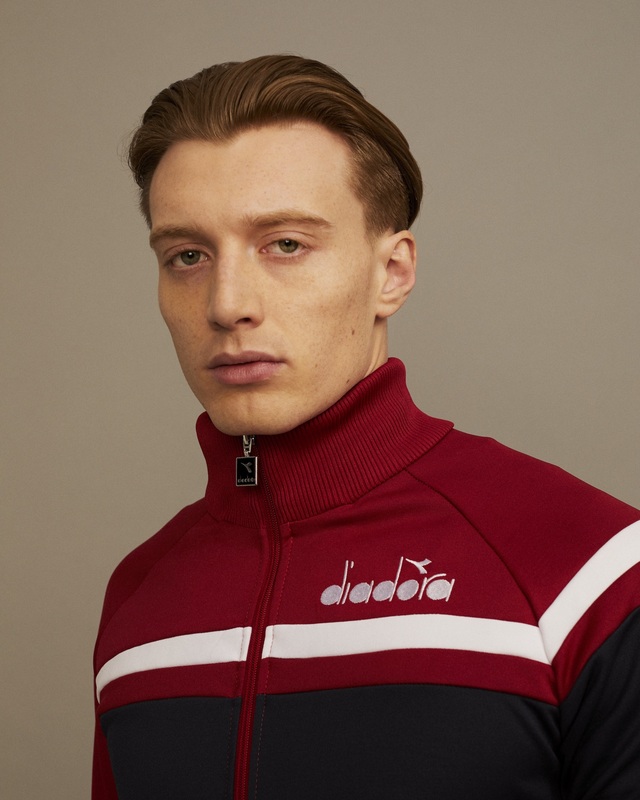 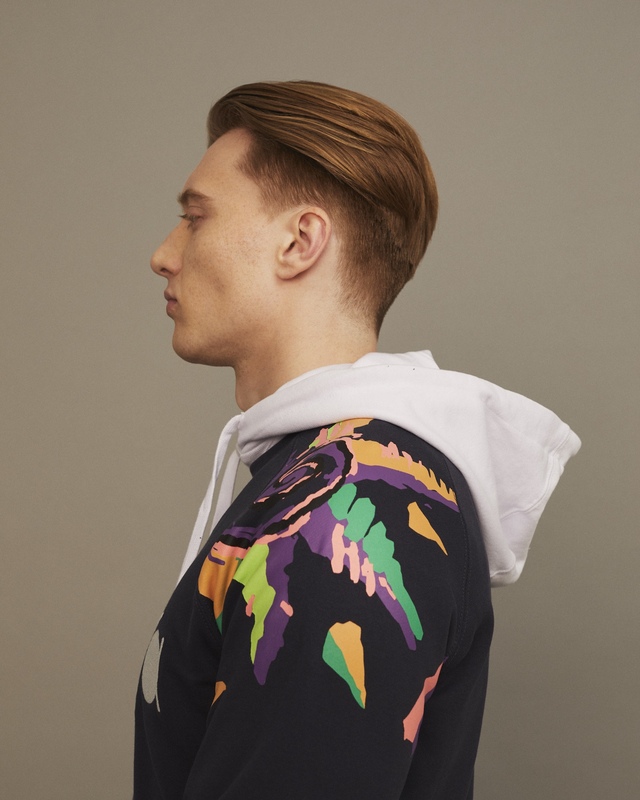 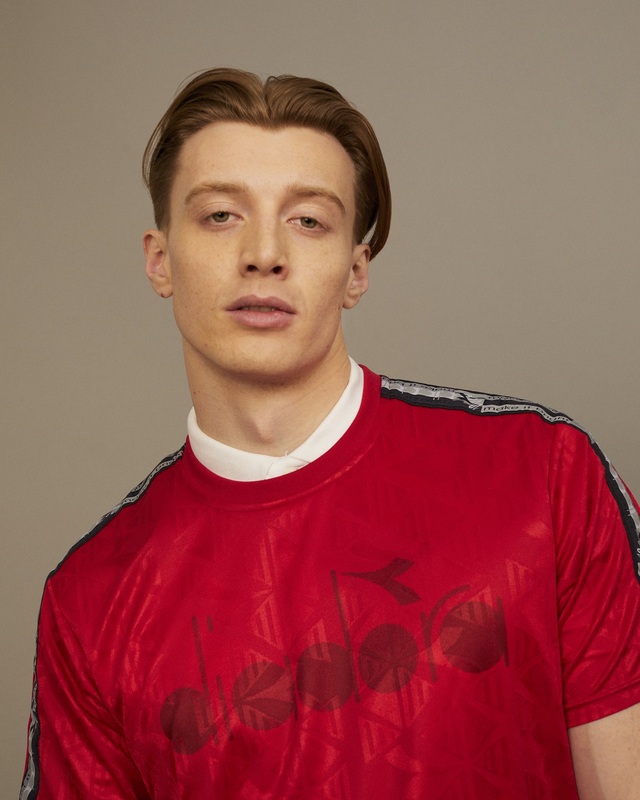 To celebrate iconic Italian sportswear brand Diadora's 70th anniversary, and the release of their spring/summer 18 collection, Clash have teamed up with one of it's latest campaign stars Jack Saunders. 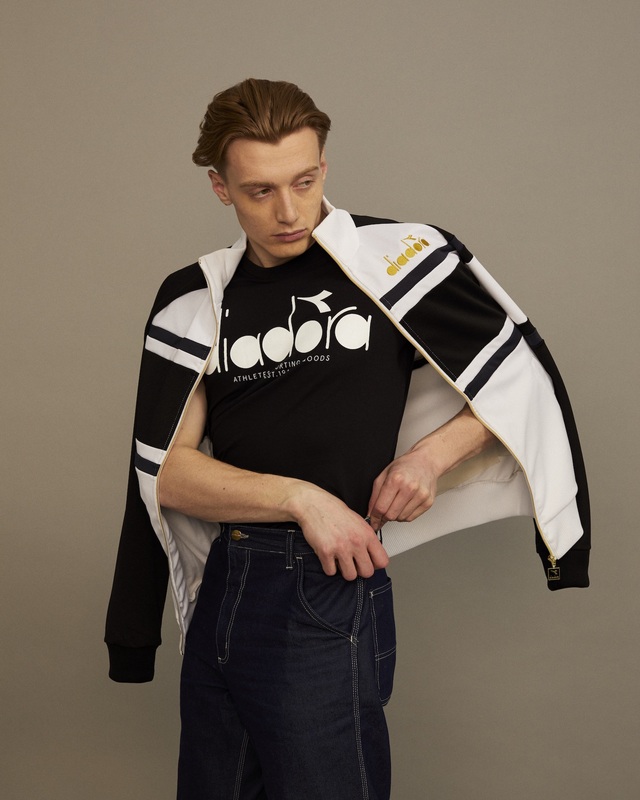 Finding time in his hectic schedule last week, to appear in our Elliot Kennedy lensed editorial, Saunders - who currently juggles work as a Radio X host, and both DJ and VJ for MTV UK, modelled a selection of favourite styles from the new range. 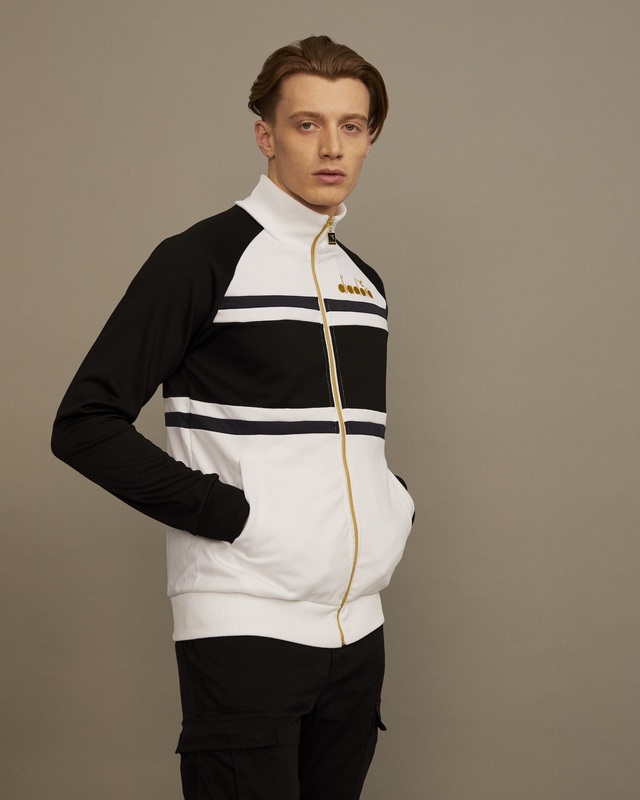 Giving each piece his personal spin, highlights include the timeless, 80s inspired polycotton track jacket that's now available in new colour-blocked varieties, and the option of matching fitted pants. 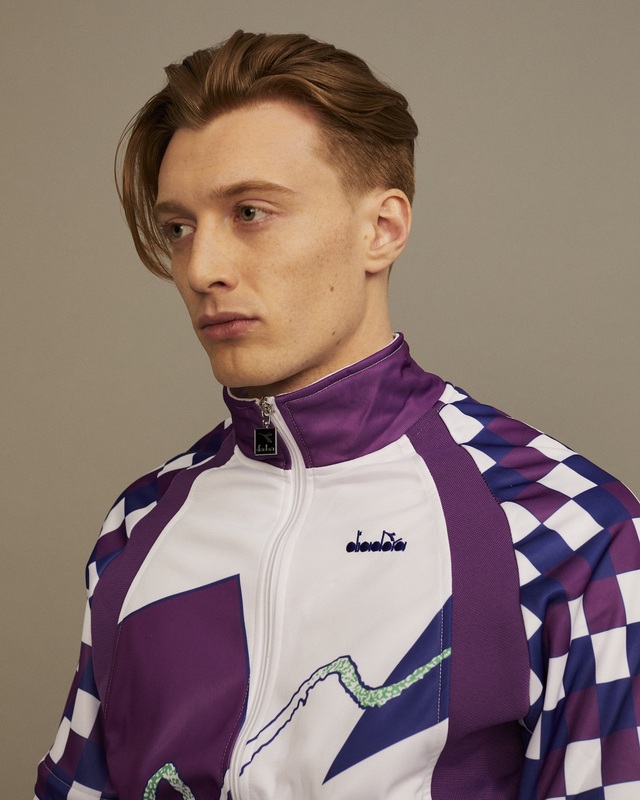 As well as the famous B. 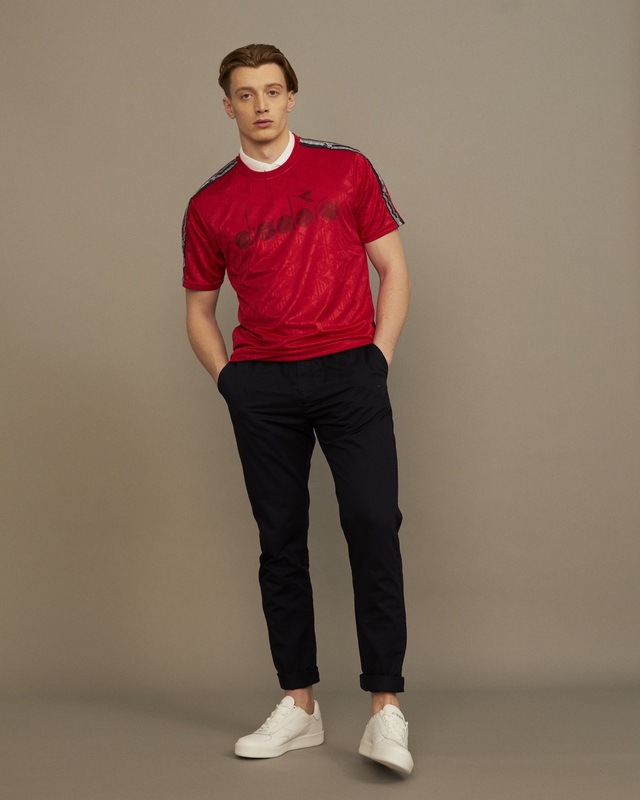 Elite shoe, with which subtle but significant stylistic updates, looks as fresh today as when it was worn by legendary tennis players over 30 years ago. 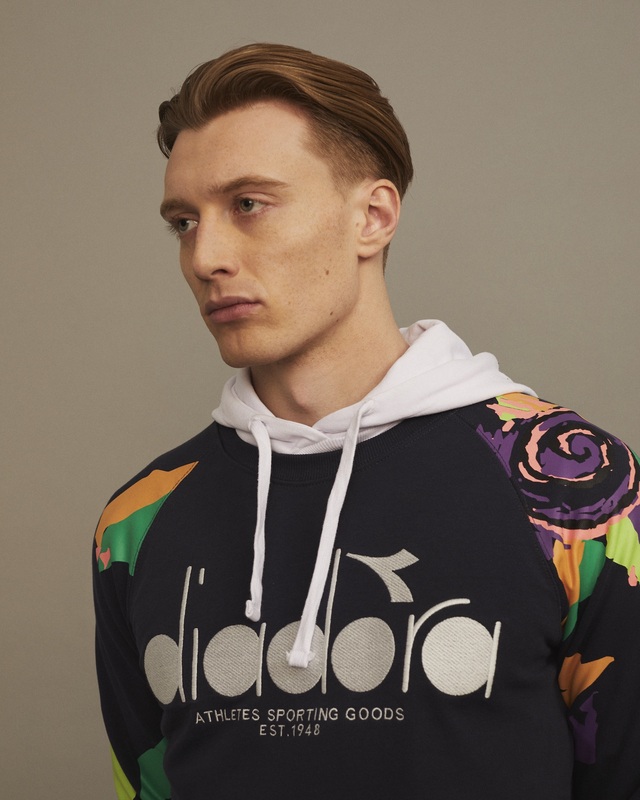 While Diadora was first championed by sports stars, the brand in now worn by stand-out names across a number of fields, who each carry the same message of audacity, daring, and uniqueness. 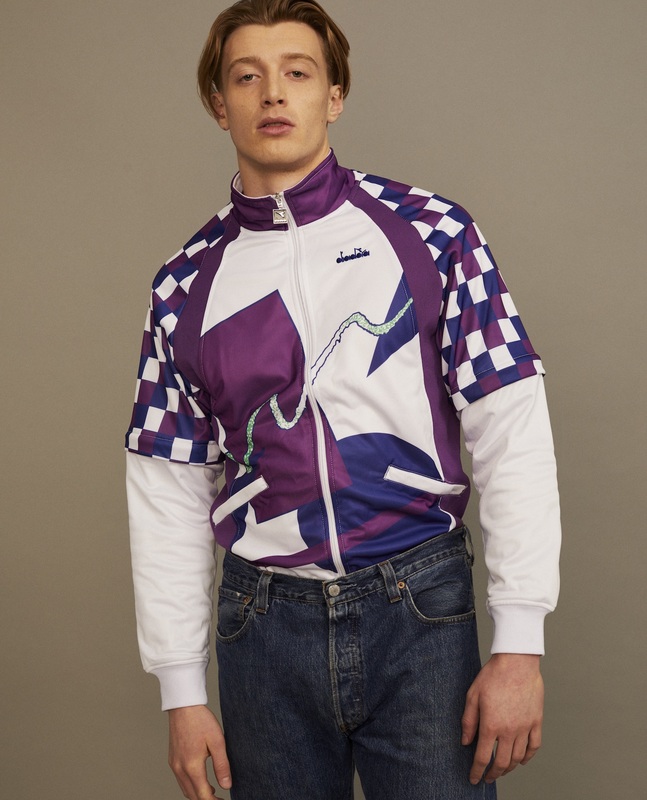 A new generation with the same streak of defiance. 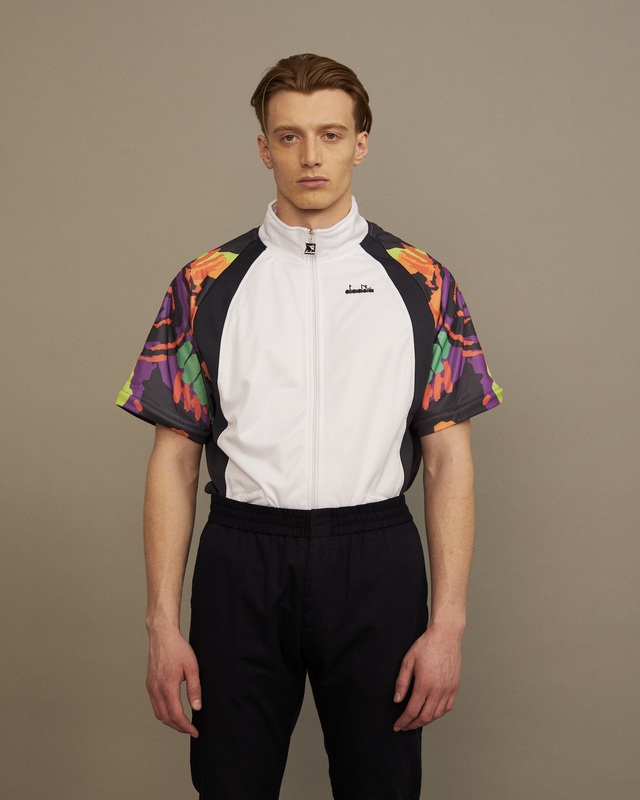 Embodying this spirt for our shoot, just as he does everyday, Saunders also compiled a deficance themed playlist, that's guaranteed to set you up for the weekend.